I’m on the road again! Or, more specifically, on a plane again and this time, I’m headed to Japan. Mr. C and I will be making the rounds in Tokyo, Gifu (where I used to live), Osaka and Kyoto and it’s certain to be a busy few weeks! Admittedly, I’m a little nervous, as I haven’t traveled this far internationally in quite some time but after my trip to L.A. I think I got the hang of what all I need to pack. Ideally, I prefer to travel as light as possible, especially since this time we will be moving around a lot and will need to be carrying our things with us often so we are each only bringing a carry-on. Now, if you’re on my email list, I sent out an email last time before flying out with my “must have” list of travel goods but I figured I’d post a public one this trip, as I’ve adjusted and perfected my packing a bit more! Now when I pack light, I try to keep things minimal and take into consideration whether or not I’ll have access to a washer/dryer etc. however I also want to allow myself to still be healthy as well as environmentally and economically savvy. Clothes: I tried to keep things simple and versatile and because it’s currently rainy season in Japan I have a lot more neutral tones than usual (they don’t show wet rain as badly!). Other: This covers all the goods I need for personal survival and comfort! 1 Stainless Steel Water Bottle – I like to fill this right before getting on the plane and will continue to use it throughout the trip- disposable plastic bottles are a no-go in any country! Raw Green Super Food – Because you never know exactly what the food will be when traveling, I never travel without these! These capsules are perfect when you’re on the go and easily to provide daily greens and fiber. 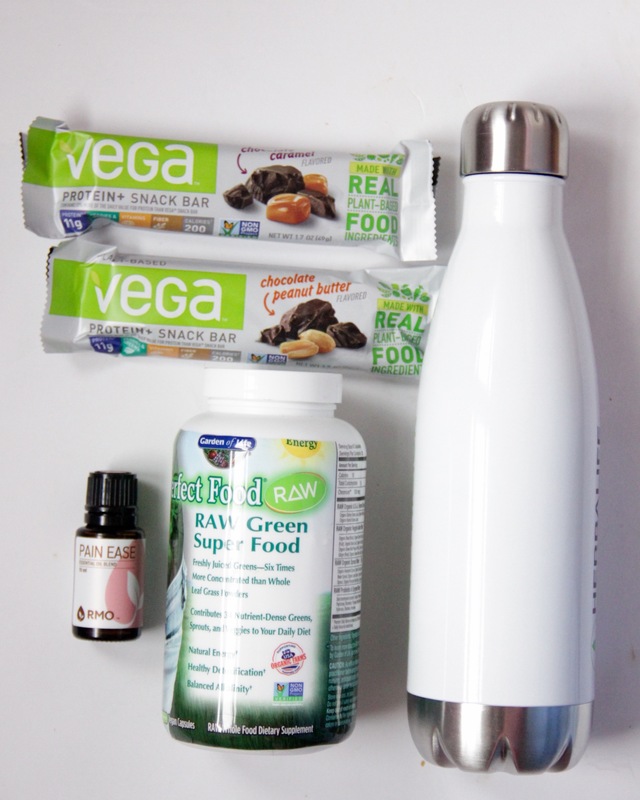 Vega Protein + Snack Bars – Considering we will be on multiple planes with minimal layovers for almost 15 hours in total, having snacks is imperative. I also like to bring these as a breakfast replacement for days when I don’t want to have to go out and buy something. Pain Ease Essential Oil– I learned the hard way how painful a redeye can be for neck muscles. This time I’m packing some of this blend with me to massage into what will undoubtably become a sore neck sometime during the trip! Snacks in a Collapsible Food Container- We will have lots of melon at home and will be packing some as a plane snack to eat before we arrive! Because the container collapses it’ll take up no room in the suitcase later. Reusable Utensils– Because you never know when you might need them! Borox- The easiest cleaning tool for traveling! Omiyage– Basically, small gifts to give to friends and hosts of where we will be staying. Technical Stuff- The computer, camera, phone and all the chargers/adapters. Toiletries- No explanation needed here! Anyway, that’s about it and all this will fit into my carry-on and a purse. I’m looking forward to giving the omiyage, as it will allow for more space in the bag for our return trip. 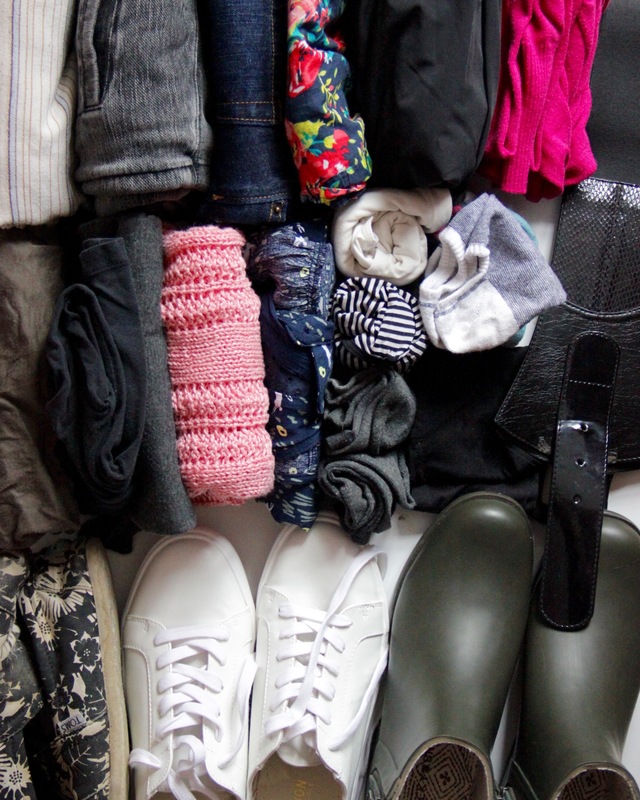 Is there anything you consider a must have when traveling? Let me know in the comments below!